The greater Seattle area is growing! Are you up to date on what you’re able to build in your backyard? 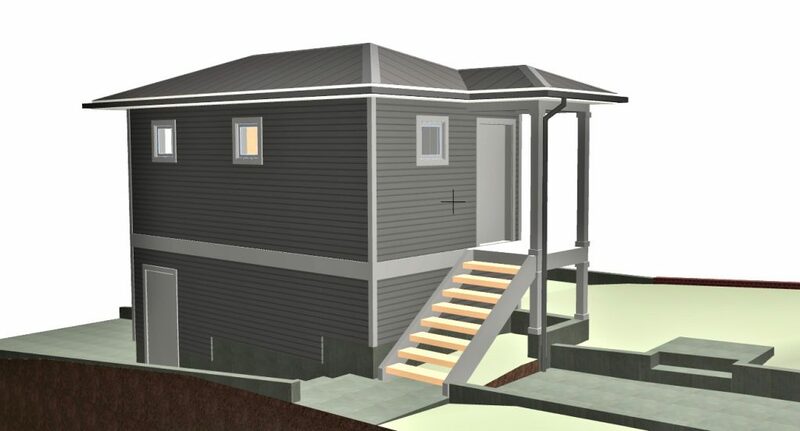 We’ve had a lot of interest lately in small buildings from clients and several that we’d like to discuss. These have been garages, studios, and Detached Accessory Dwelling Units (DADUs), sometimes called backyard cottages. In each municipality and in single-family zones, there are specific rules governing these structures, as they are on the same lot as the principal structure (usually a single-family residence). The benefit of an additional occupancy unit is three-fold: for homeowners who rent out these units to another family, it’s extra income every month. It’s also a place for elderly family members to stay and retire, as size requirements can make DADUs great for aging-in-place. And beyond rental benefits, having a DADU can significantly increase the value of your home and the investment can provide generous tax benefits depending on your personal finances (consult your tax advisor). 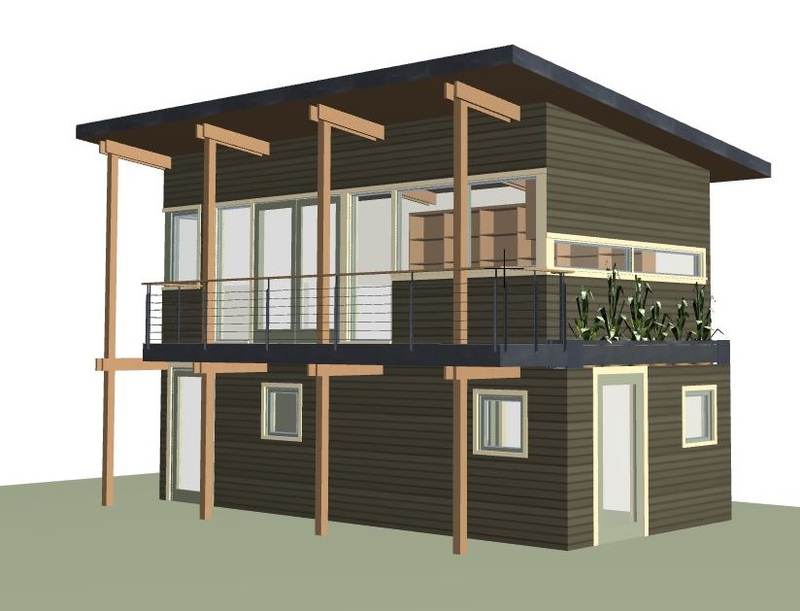 For Seattle residents, see this guide for more info: Guide to Building a Backyard Cottage. This “DADU” is being built to be a music studio and garage for our clients. The benefit is that, at any moment, our client can rent this out as a fully-equipped home! For DADUs, the rules cover such things as minimum lot size, lot coverage limits, impermeable surface percentage maximums, parking requirements, size and height limits, and, of course, occupancy rules. In the case of Seattle, where there is a push by the mayor and the city council to dramatically increase density, the restrictions on these structures have loosened to make it easier to grow, and we could expect that they might loosen even further. Your total lot coverage does not exceed 1000 sq ft + 15% of your lot size (for lots less than 5000 sq ft) or 35% of your lot size (for lots over 5000 sq ft), including the main home. Our first example is a true DADU. The owners of this property are looking to build a quaint studio above a garage to rent out to a student or young couple. It includes a murphy bed, kitchenette, 3/4 bath, and a spacious 1-car garage with workspace in the back. This backyard office is a second story addition – but it’s not as simple as it seems. 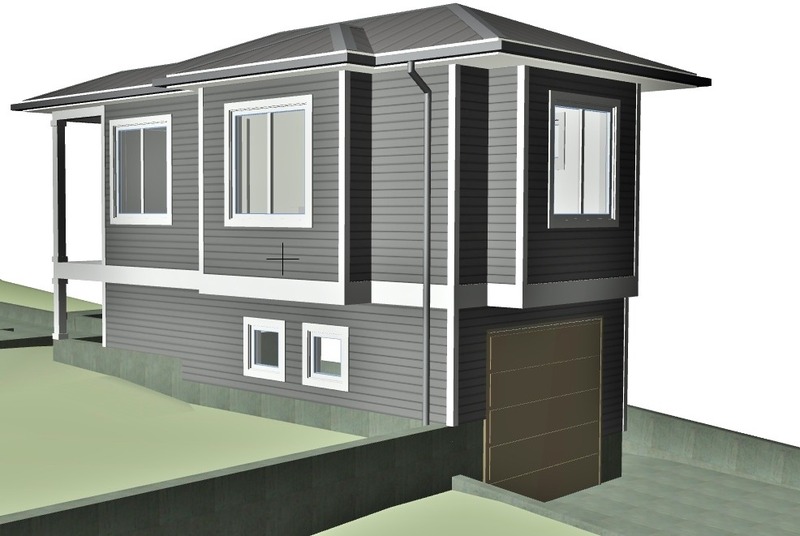 This home resides in a liquefaction area of Seattle and therefore requires heavy duty engineering to pass city inspection. 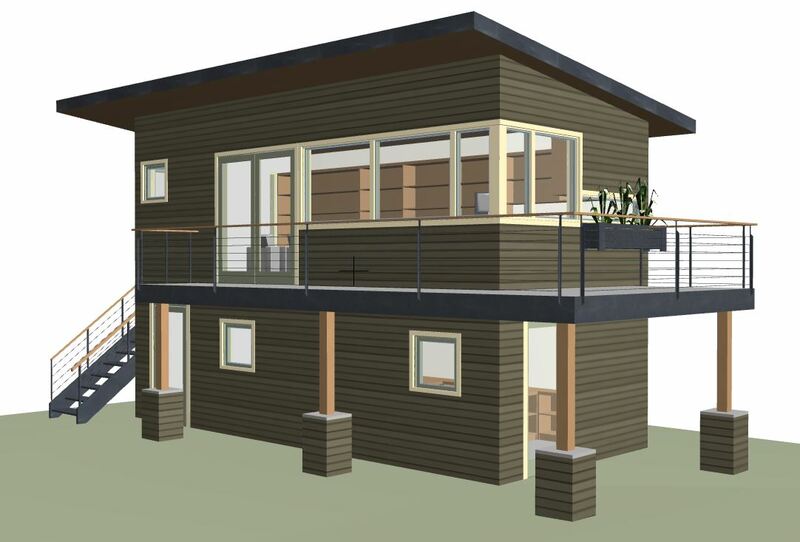 We designed two schemes around this fact: the first includes building an exoskeleton around the existing shed to support the new second story (see the upper photos). Our second scheme rebuilds the structure anew to better account for earthquake forces (see lower photo) by “floating” the structure on a large, structurally reinforced concrete slab. The lower floor of both plans will be split between a bathroom and kitchenette, and a fully separate gardening area. 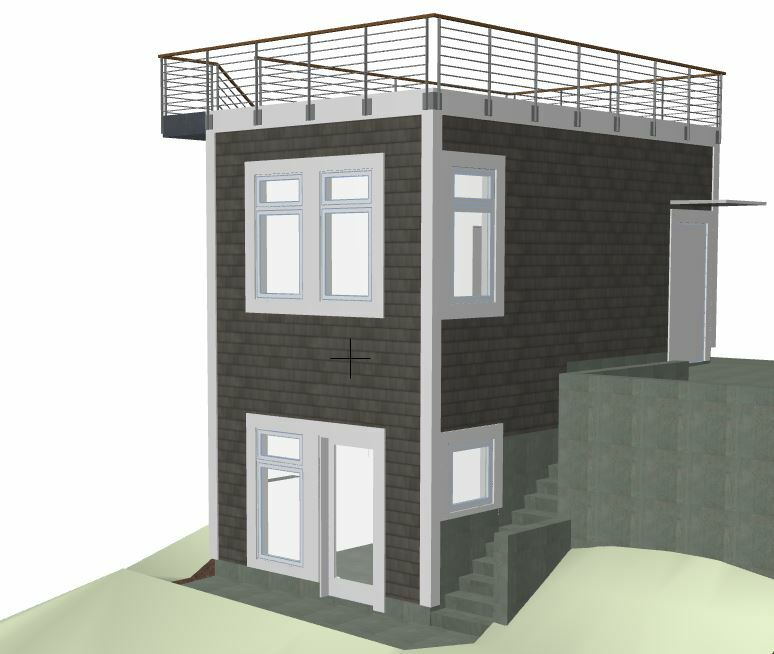 The upper floor will be a bright and airy office space for our client’s busy schedule, and will double as a guest room on occasion. The bathroom and kitchenette will allow for this to be a certified-DADU in the future! For further reading, the Guide mentioned above is a trove of helpful information, and we highly advise you consult it when considering if you, too, can DADU! 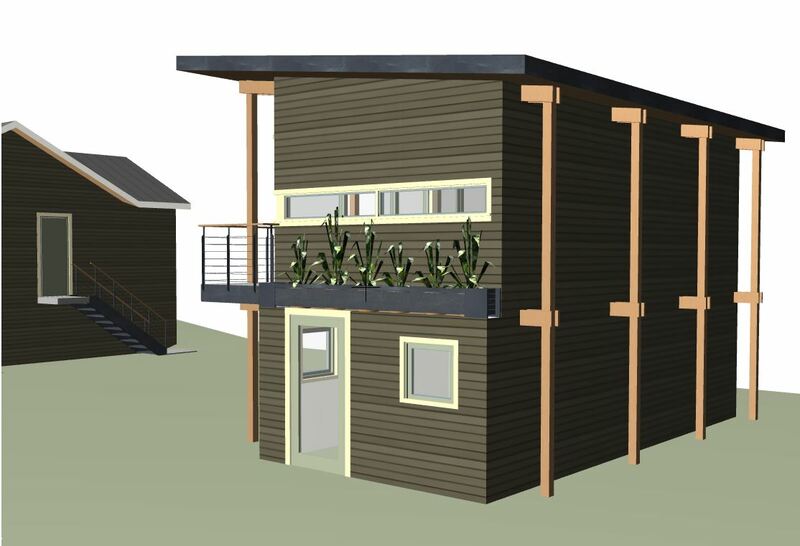 For a fun take on transforming shipping containers into a backyard office, check out this South Seattle project !